Striking the perfect balance with your inventory plays a vital role in successfully managing your business. While the risk of too little inventory is seemingly apparent, you will also find distinct disadvantages in holding too much. Understanding the ramifications as well as having the right inventory management software is crucial in helping you avoid these pitfalls. Excess inventory can be quite damaging to your business capital once you factor in the cost of extra storage space, warehouse maintenance, and utilities. Additional maintenance for perishable products can cost you extra in temperature and humidity control. Consequently, when you spend all of your capital on storage and maintenance, critical areas such as research, development, and marketing will suffer. We tend to forget about natural disasters when they’re not an ongoing occurrence, but they are an important factor to consider. In the event of fires, floods or earthquakes, excess inventory equals excess loss. Even if you have insurance to cover your inventory in the event of a natural disaster, too much product sitting for too long can rack up your insurance costs. — Sell it to an inventory liquidator. — Sell online through third-party sites. — Bundle items together at lower costs and give bulk purchase discounts. — For a short period, offer steep discounts. — Donate to organizations, turning it into a public relations event to raise visibility. This has possible tax advantages. No matter which option you choose, you’re likely going to take a financial hit considering the price cuts and freebies for customers. Such volatile industries such as fashion, electronics, and perishables are especially susceptible to this. Value and quality of inventory deteriorate, certain products become outdated and obsolete, and edibles expire. In these cases, product has to be moved, and you may be forced to sell way below cost to clear them out. This, in turn, will have a negative effect on your sales and profits. 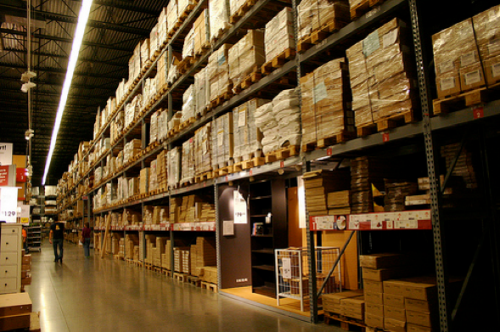 Another aspect to consider is how inventory carrying cost varies between industries. For products with no risk of spoiling or going out of style, storing larger quantities isn’t problematic. Perishable and time-sensitive items need more carefully constructed inventory management. Sitting on this inventory is not an option and can be quite costly. An acceptable cross-industry estimate for inventory carrying cost falls around 20 percent. All of these scenarios negatively affect your business’s bottom line: profit. In order to maintain a good balance of inventory, invest in inventory management software specifically designed for your company. The right tool is crucial in understanding your customers and getting the results you need. Your business is your livelihood, and every detail is equally important. Successfully managing your product with the know-how and right tools is a game changer for propelling you to business prosperity.